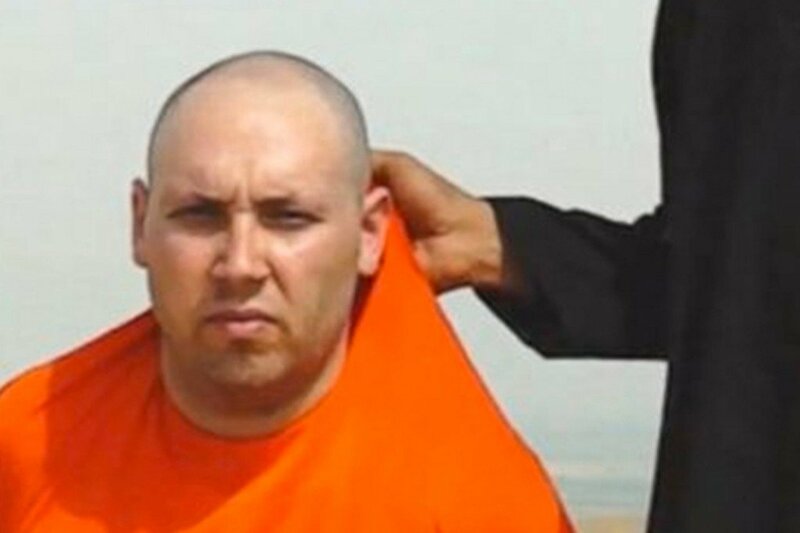 A new Islamic State video has showed the killing of American journalist Steven Sotloff. Steven Sotloff, 31, disappeared in Syria in 2013. He appeared at the end of a video last month which showed fellow American journalist James Foley being killed. A militant in the latest video also threatens to kill a British hostage. Steven Sotloff’s family said they were aware of the video and were “grieving privately”. After James Foley’s death, Steven Sotloff’s mother appealed to IS leader Abu Bakr al-Baghdadi to save her son’s life. White House spokesman Josh Earnest said US officials were checking the reports. The US has recently carried out dozens of air strikes against ISIS targets in Iraq. The video, entitled A second message to America, shows a masked figure together with Steven Sotloff, who is dressed in an orange jumpsuit. The masked man then describes the act he is about to commit as retribution for the US air strikes. “I’m back, Obama, and I’m back because of your arrogant foreign policy towards the Islamic State… despite our serious warnings,” the man says. Steven Sotloff was abducted near Aleppo in northern Syria in August 2013. He had worked for Time magazine, Foreign Policy and the Christian Science Monitor, and reported from Egypt, Libya and Syria. Friends said Steven Sotloff had lived in Yemen for many years and spoke good Arabic. At the time of his capture, Steven Sotloff’s family chose not to go public with details, on the advice of officials. Last month a video was released showing the beheading of James Foley. Steven Sotloff was shown at the end, as a militant gave a warning that his fate depended on President Barack Obama’s next move. The US launched has launched more than 120 air strikes in Iraq in the last month, in an attempt to help Kurdish forces curb the advance of Islamic State militants and protect minorities threatened by them.